The school’s motto is derived from two Latin words ‘Veritatem’ and ‘Caritatem’, which mean Truth & Love, respectively. ‘The Ship’ represents the trials that we encounter in our in lives, and ‘The Sea’ represents the ocean of knowledge we must travel. ‘The Entwining Scallop’ indicates the cord that binds the Theresian family. ‘The Star’ is represents the guiding light through the tribulations in our lives. 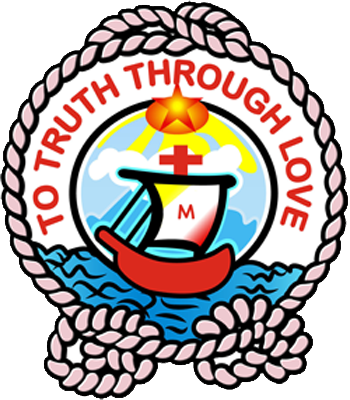 The sentiments expressed in our logo are succinctly captured in the school’s motto: ‘Ad Veritatem per Caritatem’, that is, ‘To truth through love’. 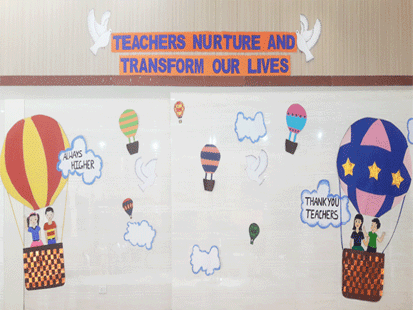 The School’s mission is to provide a learning environment that encourages children to bring out the best in themselves and enables their all-round development through the joy of learning, enduring values and the celebration of diversity. 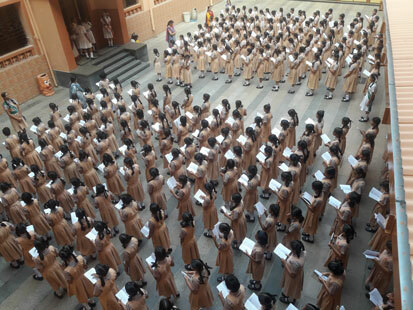 At St. Anthony’s High School, we recognize the imperative of imparting an educational experience which prepares children for global citizenship. Our values and attributes, which align with our guiding statements, are integral to creating a school culture and climate to realise our educational goals.